Give yourself a hand! Applying flawless color every time has never been so easy. 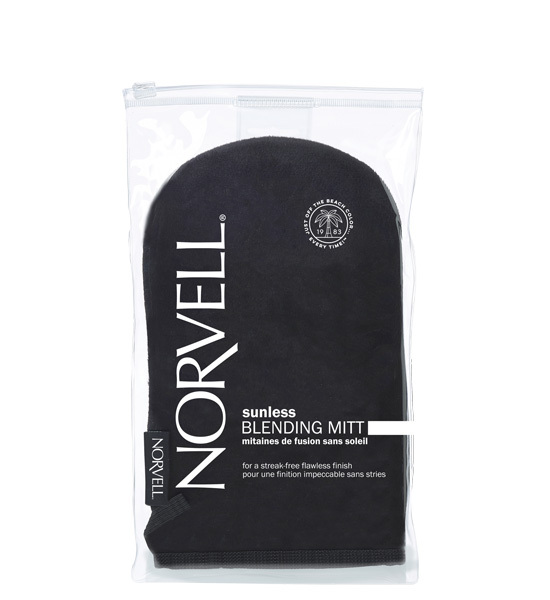 This Sunless BLENDING MITT ensures even, streak-free application of all Norvell products – while the waterproof lining prevents color build up and DHA development on the hands. This product can simply be rinsed, air-dried and reused.